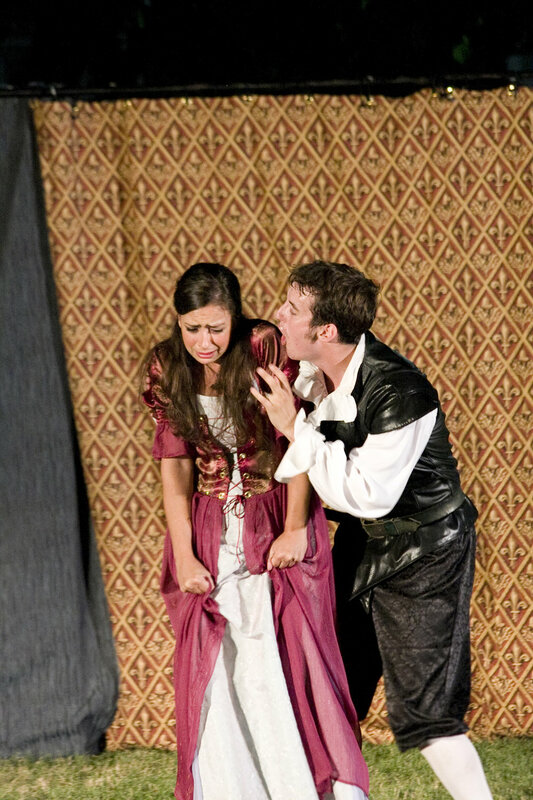 Greater Hartford Shakespeare Festival 2008 production of Hamlet, featuring Amanda Tudor and Rob Cunliffe. Our "Shakespeare Out Loud!" series continues with an exploration of passages from Shakespeare's "Hamlet" and "King Lear". Attendees are encouraged to choose their favorite passages from the canon to share out loud with the group for closer examination of Shakespeare's use of language in those moments of human thought, passion and action. The Shakespeare Book Club will gather in the Noah Webster Library Meeting Room, 20 South Main Street, West Hartford, at 7:00pm. The Library will also be showing a filmed version of each play at 3:00 pm, and you can bring your own covered beverage and (quiet) snack to enjoy. No registration is needed to attend. The Shakespeare Book Club is open to any and all who have read or seen the entire play, and wish to discuss it. You may bring your own beverage and snack to the meeting room. Your Isham Garage parking garage ticket can be validated at the Information Desk on the Main Level of the library.